This may seem like a ridiculously simple question whose answer comes embedded in the term itself (“Managing suppliers!”), but it can be tricky. Supplier management is a broad term, and it has become ever broader in its evolution from a post-contract area to include also strategy and planning and other pre-contract activities. In other words, supplier management has become supplier lifecycle management. 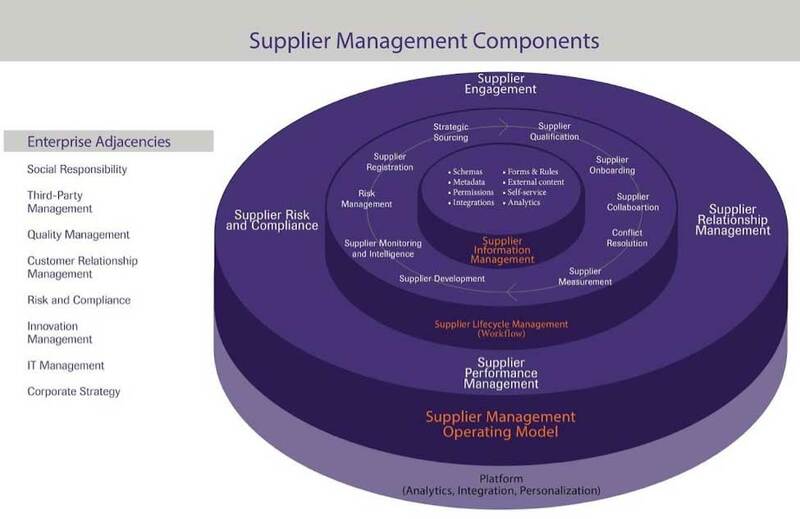 But to nail down a pithy definition for supplier management, it is “simply the management of supplier-facing business processes throughout the lifecycle of a supplier,” as Spend Matters analysts Michael Lamoureux and Pierre Mitchell put it in their Supplier Management 101 series. Should We Ask What Isn’t Supplier Management? I’m exaggerating, of course, but any of the following can overlap with or be grouped under the big umbrella of supplier management. Supplier performance measurement: Simply put, measuring supplier performance in regards to cost management, risk management and operational improvements; has the supplier fulfilled the contract? Risk management and compliance: Remember the Rana Plaza factory disaster? The supplier management technology landscape is similarly vast. You will find providers that specialize in this area (Aravo, HICX, Sourcemap, etc.) and suite-based providers offering limited to excellent support, as well as vendors that focus on risk management (Resilinc, Riskmethods), managed services (Achilles, Deloitte), contractor management (Avetta, Browz) and services procurement (Beeline/IQNavigator, SAP Fieldglass, etc.). I admit: much of the above, including the neat wheel graphic, I have blatantly ripped from Spend Matters’ new report: Sourcing, Contracting and Supplier Management Landscape Definition and Overview. The paper covers the four distinct and yet often overlapping areas that make up the sourcing, contract and supplier management technology landscape, which are spend/supply analytics, strategic sourcing, contract management and, of course, supplier management. There is an introduction to each solution area and a depiction of its components in the wheel format that you’ve seen above for supplier management. The paper delves into the functional capabilities provided by these solution areas, as well as the types of business processes and scenarios they can enable. For each of the four solution areas, there is also a list of technology vendors for consideration. Check out the free guide for yourself: Sourcing, Contracting and Supplier Management Landscape Definition and Overview.